United Way of Central Maryland was moving to a new location and needed meeting areas in the new space that allowed for simple collaboration. In their old space, they faced many limitations including having to carry a portable projector from one meeting room to another. United Way wanted a more advanced solution that would allow users to quickly and easily connect wirelessly, share content and work together seamlessly without complicated technology. 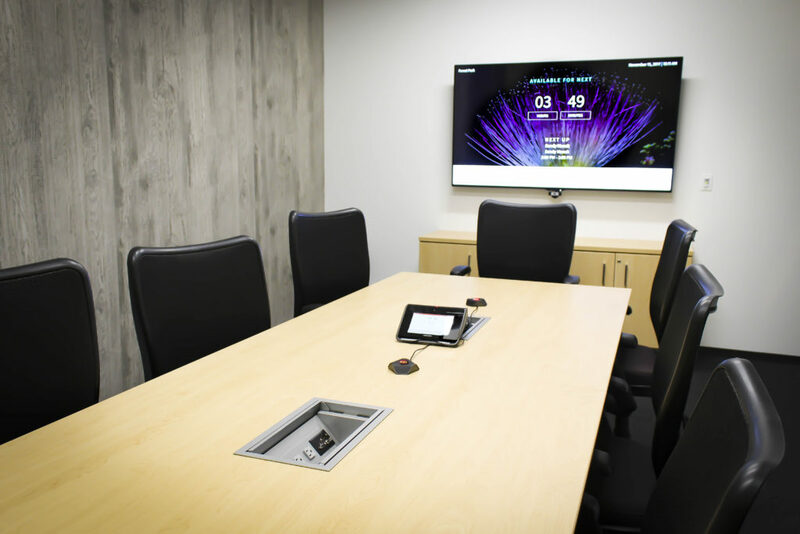 United Way partnered with AV expert Cenero to develop collaborative solutions for their new space. 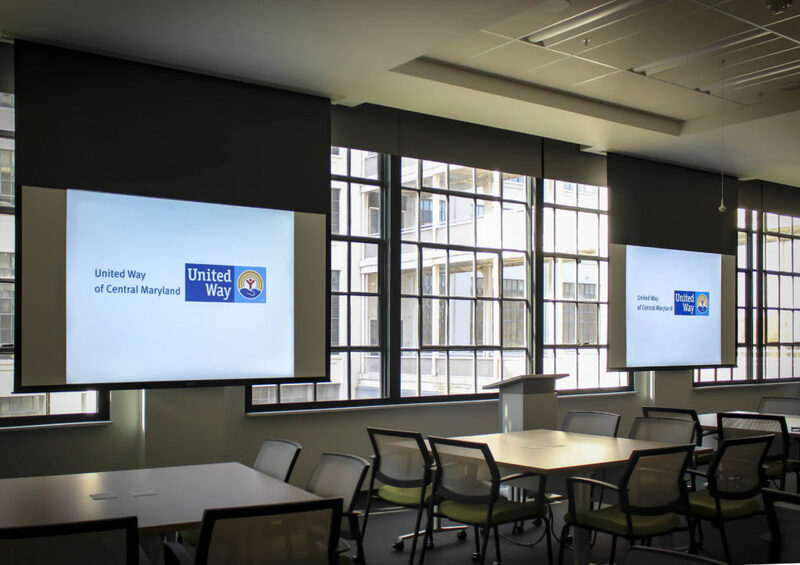 “Cenero took time to listen to our needs, understand what we were trying to accomplish and then put together recommendations that would allow us to empower collaboration,” said Ramana Pisupati, Director of IT for United Way of Central Maryland. 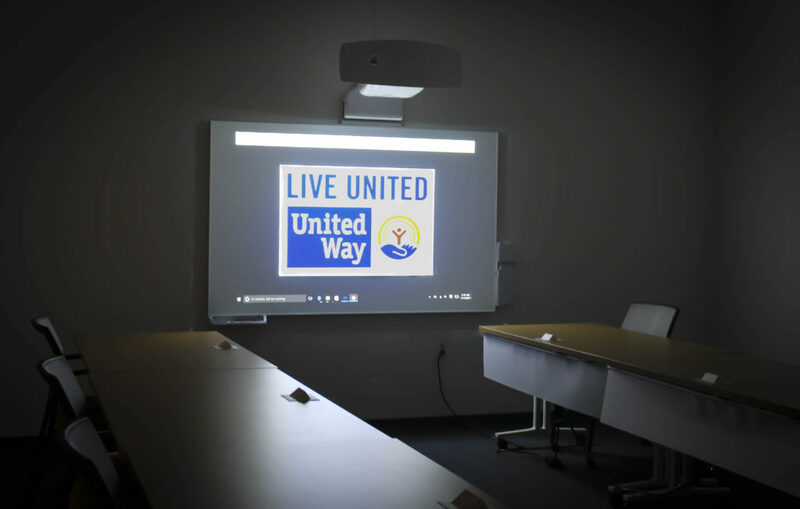 At first, United Way did not implement video capabilities in their meeting spaces, but once users started using the rooms and tried Facetime to connect remote participants, they realized there had to be a better solution and soon video was incorporated into meeting areas to help facilitate communications.